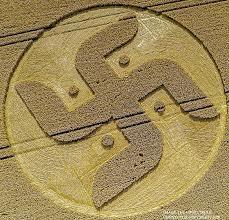 Crop circles are known as strange, often circular shapes that are sometimes found in grain fields in the morning. Until recently, the origin of these “agroglyphs” was a mystery, and their increasingly complex shapes challenged all mainstream scientific hypotheses. Although eyewitness accounts can be traced back to the 14th century, it is only since the early 1980s that crop circles have started to attract public attention. When this phenomenon was noticed and described for the first time, these surprising formations in wheat fields took the form of modest, simple circles just a few meters in diameter. Decades later, thousands of formations have been reported throughout the world, some of them extremely complex and geometrically exact. They have been hypothesised to represent mathematical equations, astronomical bodies and alignments, religious symbols, animals and even extraterrestrial life forms. Moreover, most are now much larger in scale than the earlier versions, with some up to 700 meters long and the area of the largest measuring about 4,000 square meters. They are drawn with a surgical precision that defies mainstream explanations. Nevertheless, as yet there is no certainty as to what or who made them. Irregular borders with ragged edges, broken and/or uneven stalks suggest human intervention. However, many formations are so precise, large and complex that it would seem impossible for anyone – or even several people – to create them in one night. 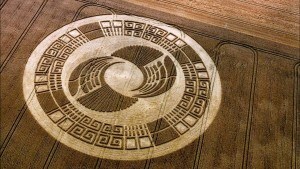 For those crop circles demonstrated to be not of human origin, they provide physical signs of amazing sizes, growing complexity and carefully chosen themes. They contain elements that make us wonder who created them and how, they may even lead us to pause and re-evaluate our present understanding of science. They can cause us to speculate on the nature of the universe itself and on the existence of intelligent beings that could inhabit it. 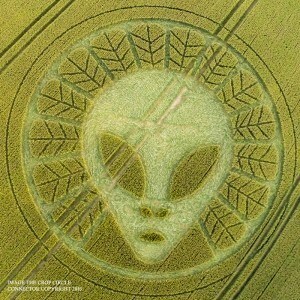 One can speculate that crop circles are a gentle, playful and thought-provoking strategy aimed at preparing us for an official contact with an extraterrestrial civilization. These ephemeral agricultural works of art force us to speculate on the nature of their authors, whose intent may be to familiarize us with the presence of external observers and psychologically prepare us for an official and peaceful contact.